Mr. G's musings: I love ELEPHANTS. 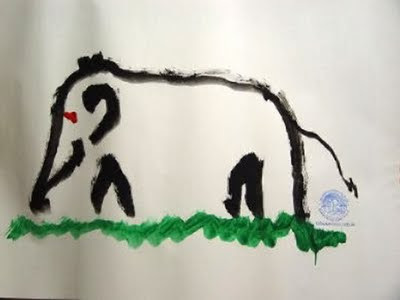 Take a look at these elephant ARTISTS! I love ELEPHANTS. 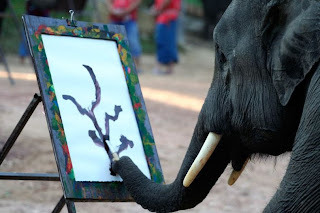 Take a look at these elephant ARTISTS! I've you've been tracking with this blog for a while, you know how much I love elephants (among other things). This is an amazing sight. 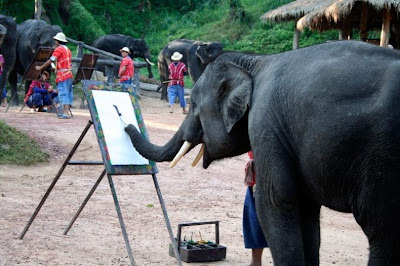 These elephants are artists. 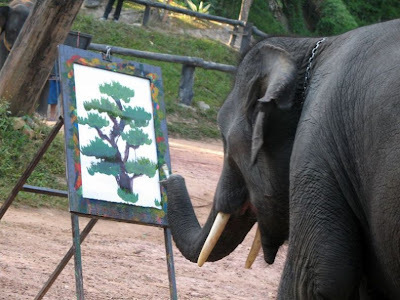 See the painting of the tree by this wise old pachyderm! 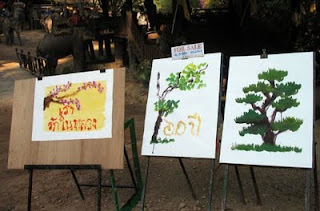 I found these at a really fun website called Damn Cool Pics: Here was the caption: "these amazing images were made by the Elephant Artist Sri Siam at the Lamphang Elephant Camp in Thailand. 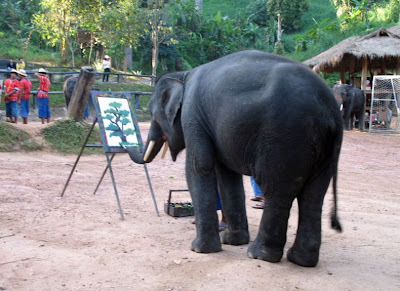 It is hard to tell whether the elephants actually know what they are drawing, or that they have learned to imitate a teachers work or their caretaker is directing them how to draw. Nonetheless it is unnaturally fascinating to see them busy." Absolute beauty in every way.